Today is the last day I’ll be doing this, and tomorrow I will start 25 days of Christmas. Today I am thankful for what my dad always called “travelling mercies.” Whenever our family left the house as a group – every week for church and less frequently for other reasons – he gathered all of us together around the table to pray for travelling mercies. By God’s grace, we always arrived home in roughly the same condition as when we left, and we always found our home the same way as well. We just got home from 4 days and 4 nights in Austin with the extended Coghlan family. We live in a very quiet neighborhood known for its low crime rate, but there have been several minor incidents lately. I was apprehensive about leaving for so long, especially during such a predictable time of the year. We even took the dog with us, leaving our house quiet and empty – and vulnerable. I guess I still haven’t entirely adjusted to city living, because I was really uncomfortable about doing this. But we made it safely to Austin, and nothing worse than a little vomit happened while we there. It wasn’t even anyone from our household – how did we escape that?! And we made it safely home again. Our house was was not broken into, or if it was they didn’t find anything worth taking. Also, we didn’t die in a fiery wreck. I’m being flippant, but I am truly thankful. God is good. Today is Thanksgiving Day, and I’m thankful today to live in a country with strong Christian roots. Our nation has come far from its Christian roots and has many grievous issues now, but we still have the remnants of our foundation, and a hope that goes with it. I am thankful to live in the United States of America. I may have already said it, but it bears repeating:I am thankful for family. It bears repeating partly because family is just that much of a blessing, but also these are different family members than the ones I was thankful for earlier this month. Oh, by the way. I’m totally coveting the crocheted Coghlan. If it disappears while we’re here, I’m not answering any questions. I have now posted for over 50 days straight, and I plan to continue for 25 Day of Christmas in December. That will be 3 months straight, if I don’t crumple into a heap of post-partum emotions like I did last Christmas. Last Christmas was an emotional roller-coaster for me – and probably for everyone around me, thanks to the trickle-down effect. I was a mess, and I didn’t do a great job of keeping it to myself. Although I look toward this holiday season with some apprehension, I am thankful to be feeling much better this year. I’d love to hear from you today. What are some of the little things in life that remind you to be thankful? Why? This morning we were running late, so we decided to drive separately. I stayed behind to finish up a few things, while the rest of the family left for Sunday school. I only expected to be 5-10 minutes behind them, but we were already cutting it too close. They couldn’t wait any longer. Once they were gone, I peeled and diced the last few potatoes and threw them into the crockpot, then did exactly what I always tell the kids not to do: I shoved a whole mess of potato peels down the drain and turned on the garbage disposal. After about 30 seconds it became apparent that I was right when I told them not to do that. It made all the right noises, but the water and potato bits were not disappearing. In fact, the level was rising. Potato things were coming UP the drain and shooting into the air. I turned off the disposal and the water, and I waited to see if the level would go down. Maybe I could just leave it like this and deal with it when we got home. Then I realized I still heard the sound of water. Under the sink. Was it leaking? Was the sink really linking? Now? Today? Yes. While it was stuffed full of food. I ran for a bucket and a towel, and did a quick cleanup – just enough to buy to me a few minutes. Now I was officially late so I decided not to hurry. I drank a cup of coffee and mapped out my course of action. Actually, the coffee was gone, but I drank a cup in my heart while the outside of me stared forlornly at the sink. I was feeling too much like a martyr to take off my high-heeled ankle boots, so I clomped around the house gathering more supplies and set to work. Under the sink were two p-traps, one for each side of the sink. I started with the primary sink, the one that wasn’t leaking. My hope was that I could just get things to drain, then Perry could deal with the leakage problem after church. I placed a second bucket beneath this pipe, unscrewed it on both ends and eased it out. Out poured nasty pulverized food that looked just like vomit. I dumped it into one of the buckets, cleaned it with a finger, gagged a little, and put it back together. The left sink was drained now and running freely, but the right sink – the one with the garbage disposal that some idiot had crammed full of potato peels – that one was still full and leaking badly. I had no choice but to open and clean the second p-trap. I unscrewed it from the end where it joined the other sink, and gently twisted it away from the joint. It was packed solid. But as I watched, the plug began to move. In slow motion, it squeeeeeezed out of the end of the pipe. It was gross. I won’t lie: it looked like the pipe was pooping. Good thing I didn’t have time for breakfast. I used my hand – ugh – to direct the sink-turd downward into the bucket, but when the blockage broke loose it began to act like an entirely different body function: now it was projectile vomit! The whole repulsive mass SHOT out of the pipe, splattered through my fingers, and sprayed the inside of the kitchen cabinet. I watched helplessly until it was done. If you ask why I didn’t just cover the end of the pipe firmly enough to stop the flow, you’re not my friend any more. Then I cleaned it all up. The whole mess. In my church clothes and my high-heeled ankle boots. With no coffee. Why am I telling you all this? Because sometimes it’s hard to be thankful. Sometimes it feels like nothing is going right, and I just can’t think of anything that I really feel thankful for. I just felt like a martyr this morning. Yes, it was so gross it was almost funny, even at the time, but I still didn’t want to be there doing that. Why me? Why this? Why now? This wasn’t part of my plan for the day! It wasn’t part of my plan, but it was part of God’s plan. I’m thankful that no matter what happens, God is in control. I had a good day with a few minor bumps, but I’ve had bad days too. Even when things go really, terribly wrong, it’s a comfort to know that all things works together for our good. I am thankful to have a thankful family. We all have our lapses, but for the most part I find myself surrounded by people who say the words “Thank you” many times each day. I was concerned about dinner because the new soup recipe I tried out didn’t look too appetizing on the table. But they dug in, they thanked me for dinner, proclaiming it delicious. If anyone didn’t like it, they graciously held their silence. A bad attitude can sometimes be contagious, but so can a good one. I’m thankful for the good ones – especially for gratitude. Giving thanks recognizes in a certain sense that we don’t deserve anything good. It’s all a gift, and that should point our hearts and minds toward the greatest gift ever given. she didn’t leave any marks. At least, none that we could spot. That could be because they were camouflaged in all the marks that were already there. Be that as it may, it made me feel a little better about the whole incident. I’m thankful our cars are not in perfect condition, so I don’t feel the temptation to stress over the inevitable wear-and-tear , or the occasional lapse of sentient thought. I’m pretty sure Bethany and I are both thankful. Every day I plan to have a plan, but every day the same thing happens: evening comes, and I’m still asking myself what will be the subject of today’s post. This time, I was deep in thought as I hid in the quiet of my bedroom and tore open the seal on my tiny tub of Haagen Dazs Coffee ice cream, given to me by a sweet friend. What would I write about? As I broke the little disposable spoon free from its tabs in the lid, I was still stumped. Of course there are countless things to be thankful every day, but what specific thoughts of gratitude had filled me today? I savored each tiny bite, trying to make my ice cream last until I had an idea. I made it my deadline: “I must decide on a topic before the ice cream is gone,” I told myself sternly. And slowly, the thought formed in my head: ice cream. I am thankful for ice cream. Really, I am. I loudly proclaim my love for chocolate but the truth is: I enjoy ice cream even more. It’s rich and cold and creamy, and the good brands are every bit as tasty as chocolate. Especially if it has chocolate, coffee, nuts, or any combination of the three. Or peanut butter. Except peanut butter and coffee together. That could be weird – but I would be willing to try it. And also toffee. Anything with toffee in it. I am thankful for ice cream. What is your favorite treat? My intention was to keep this series light-hearted. I just intended to sit at the computer for a few minutes each evening and jot down a quick post telling about a thankful thought I had. It wasn’t intended to be a list of priorities, or even a particularly serious series. But oddly, with each passing day it gets harder to be flippant about gratitude. I guess thankfulness is a heavy thing. God is so good to us that it’s hard to take His gifts lightly. I didn’t know what my thankful thought was going to be when I sat down just a few minutes ago, but having said that it’s hard to take God’s gifts lightly brings only one thought to mind: I am thankful for salvation. Why did God choose me, a sinner? Why did Christ sacrifice Himself for us? How can the creature be valued above the Creator? Why am I so foolish as to sin every day when I owe Him so great a debt? My eternal soul is a gift, unearned and undeserved. God is good. I spent much of today with a migraine. As migraines go, it was mild. I was able to function through the busy day with just a few doses of ibuprofen and a scowl that I hope wasn’t too obvious. 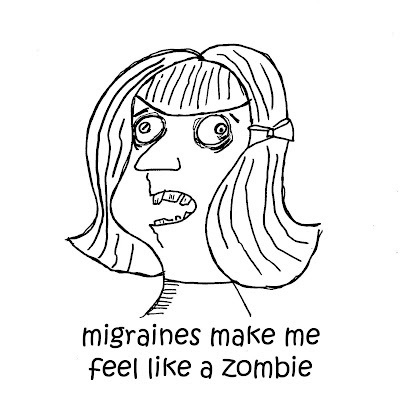 But I still don’t enjoy migraines, or the dull,dazed, surreal feeling that follows. Colors are just a little wrong, and my eyes don’t seem to be connected to my brain with a good HDMI cable. It’s like everything is running through a filter. But it did leave me a little thankful. Maybe not as thankful as I should be, but the last 18 days have trained my thought patterns. I am thankful. I am thankful for my health. I may be able to list off a dozen current health issues that I wish would just disappear, but my body is running pretty smoothly considering the work that it’s done so far in this world. Like First World Problems, my health problems should remind me of how blessed I am. My back hurts due to that herniated disk? Mildly. I get migraines occasionally? Only rarely, and I have the luxury of staying in bed if I really need to. I damaged a tendon in my ankle so that it swells whenever I run? I live a life in which running is unnecessary. I suspect my adrenals and/or thyroid are not functioning properly? They’re functioning well enough to get me through daily life. What if my problems get worse? What if I become the other example, the one of those I’m using now to remind myself that I should be grateful? Well, I’m grateful that God has not put me to that test, but I’m pretty sure there are things to be grateful for in each of those conditions as well. When I was on my feet, big boisterous pleasures provided only fleeting satisfaction. In a wheelchair, satisfaction settles in as I sit under an oak tree on a windy day and delight in the rustle of the leaves or sit by a fire and enjoy the soothing strains of a symphony. These smaller, less noisy pleasures are rich because, unlike the fun on my feet, these things yield patience, endurance, and a spirit of gratitude, all of which fits me further for eternity.